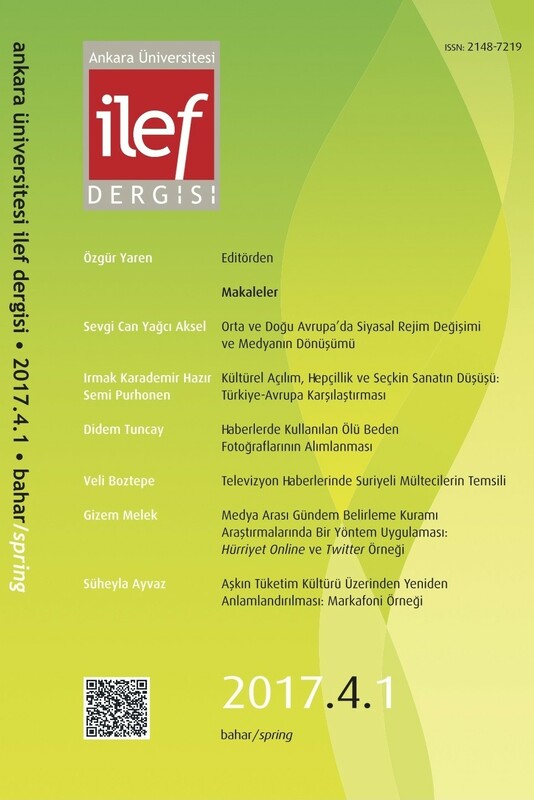 İLEF Dergisi is a peer-reviewed journal in the field of communication research and media studies. It seeks to reflect the variety of intellectual traditions and multidisciplinary approaches to provide a free and critical platform for scholars. It is an open access journal, published biannually both in printed and on-line versions by Faculty of Communication at Ankara University; the oldest institute in the field of communication in Turkey and in the surrounding region. İLEF Dergisi encourages contributions in areas such as the conjunctions of class, gender, ethnicity and sexuality in audiovisual culture, conventional and new medias, histories and theories of journalism, film, television, video, and digital media; and politically engaged approaches to a range of media practices. Ilef Dergisi is indexed in DOAJ (Directory of Open Access Journals)﻿, Clarivate Analytics, ESCI (Emerging Sources Citation Index) and ULAKBIM, TR Index.